From the sports therapist to structural integrator, the art of restoring pain-free range of motion and ‘joint-play’ should rank high on every manual therapist’s list of treatment protocols. Since the days of Hippocrates, a variety of stretching modalities have been used to effectively increase soft tissue flexibility and bring balance to myofascial structures. Practitioners of Myoskeletal Therapy add another dimension by imagining the shifting skeletal architecture as specific joint stretching maneuvers are applied (Fig. 1). 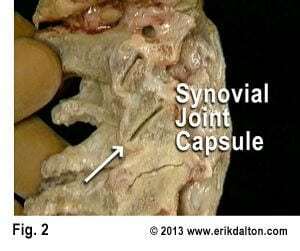 The goal and intent is restoration of joint-play, capsular flexibility and posturofunctional alignment. Range of motion and flexibility – or lack of it – can really affect athletic performance. Most agree that increasing ROM through assisted stretching and specific deep tissue routines may help reduce fatigue and improve performance. However, randomly applied stretching maneuvers should be approached with care. Research conducted by Riddel et al, linked stretching to an increase in musculotendinous injuries.1 Riddel’s group discovered a higher incidence of hamstring pain in subjects when various stretching and deep tissue techniques were applied…especially in athletics with a history of previous injuries. A significant number of those subjects were also found to be hypermobile. A couple of things can be done to avoid exasperating a client’s symptoms. First, practitioners must develop subtle palpation skills to differentiate quality, range and end-feel when assessing various soft tissues such as ligaments, muscles, fascia, and particularly joint capsules. 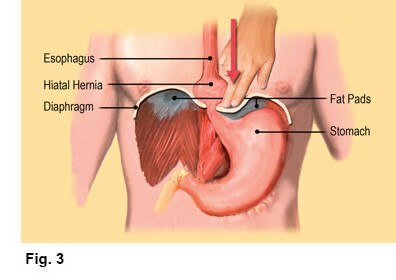 Mentally ask yourself…during end-range of motion; does this tissue have a boggy, leathery, spasmodic, or hard end-feel? When comparing side-to-side, are there areas of bind in one limb and greater ease of movement in the other? The degree of muscle extensibility surrounding a joint also helps define its available range of motion. Myofibril fibers (slender threads running parallel with the long axis of muscle strands) have little capacity for resisting tensile force. In MAT therapy, the aim of stretching is to improve joint ROM by slowly and gradually increasing a client’s tolerance to the discomfort, rather than changing the passive mechanical properties of tissue. Stretch, therefore, may result from controlled “graded exposure” to movement by working with the client’s nervous system to increase tolerance and improve joint ROM. These exercises are particularly helpful for “central sensitized” chronic pain clients who may be physically deconditioned due to fear of movement or reinjury. 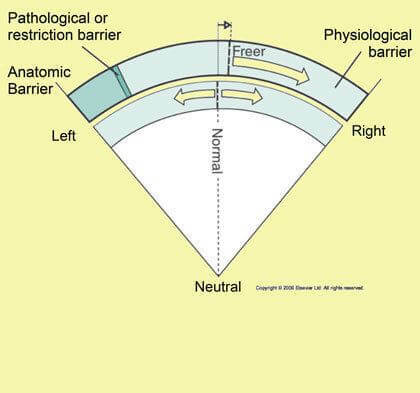 Anatomic Barrier: The final limit to motion in an articulation beyond which tissue damage occurs. 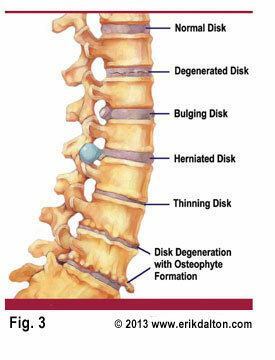 This is usually governed by bone contour and/or soft tissues, especially ligaments. The degree of available motion often depends upon whether the stretch is performed actively or passively. Client induced movements such as yoga stretches are considered “active” while passive motion requires application of an external force such as therapist-assisted stretching. Contract/relax (muscle energy) techniques using post-isometric relaxation and reciprocal inhibition principles appear to be very effective in defeating the muscle’s stretch reflex while increasing joint flexibility. Joint- stretching routines produce a number of beneficial effects for competing athletes, computer addicts, as well as our elderly population. Stretching used in conjunction with deep tissue, myofascial manipulation and neuroreceptor techniques may help prevent injury, reduce muscle soreness, enhance skill, improve posture, and increase muscle relaxation following exertion.